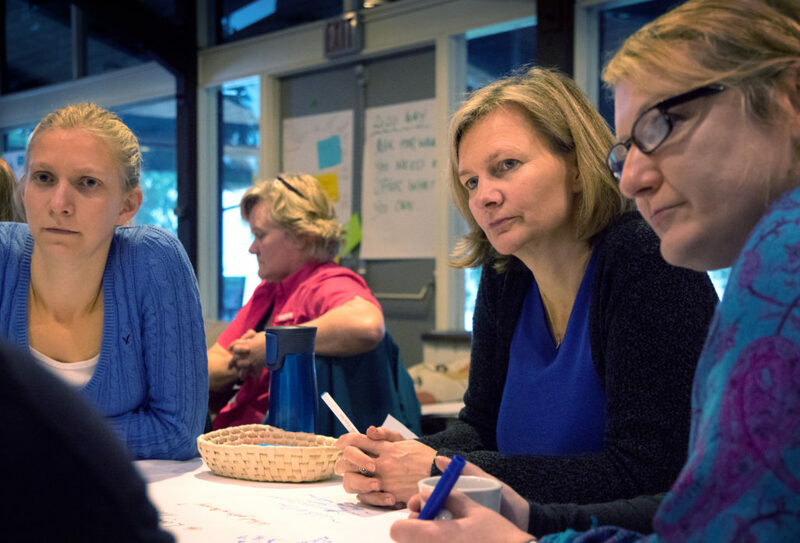 The Leadership 2020 Certificate Program brings together emergent, experienced, and legacy leaders from diverse roles, programs, and communities across BC. Over the 6-month program, you will develop your leadership practice, discover new ways to build and work with teams, nurture the careers of others through coaching and mentorship, and learn how to deal with conflict and toxicity in order to create healthy and accountable workplaces. October Info Session Recording – Check out a recent Leadership 2020 information session before you sign up! Begins Sunday, May 5th at 3:00 PM and finishes Wednesday, May 8th at 4:00 PM. Begins Sunday, November 24th at 3:00 PM and finishes Wednesday, November 27th at 4:00 PM. Both residencies will take place at Tigh Na Mara Resort and Conference Centre in Parksville on Vancouver Island. Applications for the 2019 Cohort of the Leadership 2020 Blended Program are open now. Download the 2019 Cohort Application Form here. Download the 2019 Cohort Sponsoring Organization form here. Submit your completed Application Form and Sponsoring Organization Form to taylor@fcssbc.ca. Program fees include food and accommodation at the residencies, tuition, participation in online learning webinars, and program material costs (books and workbooks). Fees do not include travel costs to and from the residencies. Federation members and Indigenous community organizations may be eligible to apply for The Federation travel subsidy to support travel costs. This subsidy is available to small, rural and remote organizations in recognition of the increased barriers to participation they face. Contact The Federation office for more information. Leadership 2020 invites participants from the social services sector, indigenous communities, and the public sector/government who are working to develop their own leadership, who are contributing to social change, and who are building a strong, sustainable sector devoted to equity, justice, and active reconciliation. Together, each cohort of emergent, experienced, and legacy leaders (see our FAQ page for definitions) bring experience and perspectives from diverse roles, programs, and communities and commit to developing their leadership practice together over the 10-month program. The richness and benefits of the program are enhanced by the experience and commitment of everyone else in your cohort—these are the people that will support and inspire you as your career continues to unfold! We believe that true leaders exist at all levels of an organization and that leadership is as much a way of being as it is a title or position. Like all of our programs, the Leadership 2020 Blended Program is grounded in the belief that great leadership is personal, practice-based, participatory, and perceptive. Resilience, resourcefulness, cultural awareness, and courage are required to engage with the change, uncertainty, and complexity we face in this sector. You will learn personal leadership practices that are both rigorous and compassionate, helping develop both self-awareness and cultural awareness. You will learn to understand and build on your strengths as well as the ability to shift the limiting beliefs and patterns that cause stress and hold you back. You will develop your own leadership practice by working on new ways to approach problems, build teams, coach, support reconciliation, and build the skills of others. You will explore ways to deal with conflict and toxicity and how to foster healthy and accountable relationships. You will apply your learning to the real challenges of your organizations and communities—in the places where we cut our teeth as leaders. You will refine your ability to perceive openings and possibilities in challenging situations and in the sector as a whole and explore possibilities for reconciliation. You will develop and hone your perceptiveness as a leader and learn how to understand complexity and how to work with it rather than against it. A pre-residency welcome webinar and self-assessment of personal strengths. A three and a half day residency that covers theory, practice, tools and methods for working fearlessly in complexity. A six month online series of webinars to ground your learning in your work, applying it to actual projects and work challenges. A three and a half day closing residency to ground leadership in ongoing change-making for your organization and community. The program also includes up to 3 hours of personal coaching provided by the Hosting Team. These coaching calls will offer you support as you undertake a personal Leadership Pursuit. These Leadership Pursuits are not a project and are not intended to add work to your life! It is intended to be an area of your practice where you choose to focus some of your learnings from Leadership 2020. During the first residency, you will be guided in identifying a leadership pursuit that works for you and your organization. Most importantly, you will be part of a safe, caring community of practice that will encourage you to be your “finest self” as you plot your own leadership path. To learn more about the program, people, and practices, please check out the Leadership 2020 FAQs. Follow us online for daily news, social sector events, job postings, conference videos, and more.